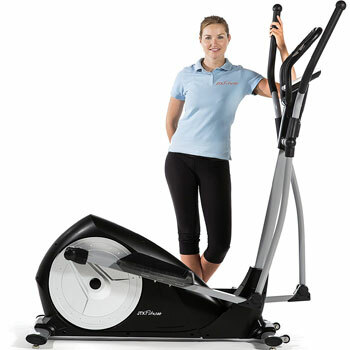 Are The Technological Extras Of The DKN XC-140i Elliptical Cross Trainer Really Worthwhile? 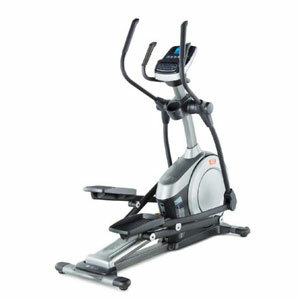 The DKN XC-140i Elliptical Cross Trainer is a training system that is clearly designed to give users a great workout in their own home while pushing them slightly further than they have gone before. The basic components are all familiar, with the standard motions, heart rate monitors and a console for all the necessary data, but the use of 32 levels of computer controlled resistance, user profiles and apps mean that users can expand their options for a personalised, challenging workout. Do these extras pay off or are they going unused? What benefits have buyers mentioned in their reviews for this DKN XC-140i? 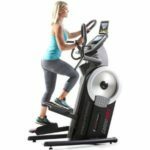 There is a high expectation with DKN products that they will deliver a high-end, strong piece of equipment with great parts, and buyers of this elliptical trainer seem to be happy with what they receive. The quality of the build is great and the machine feel sturdy with a smooth motion. There is a heavy flywheel of 14kg to handle those resistance levels, a good stride length for a fluid motion, a Poly V-belt drive system and a user weight allowance of 120kg. 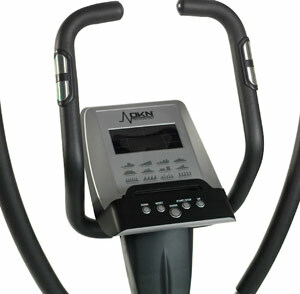 The aspect of this DKN XC-140i Cross Trainer that has seen the most praise is actually one that has come as a surprise to users. It seems that few buyers are purchasing the trainer because of the technological aspect, specifically the apps, but this becomes the feature they get the most out of. Buyers can easily connect their phones or tablets to this machine and either read, watch or movie or take advantage of the DKN-Motion and DKN iWorld apps. Users love the ability to program routes from across the world as it adds a bit of fun to a workout and takes them away from the same four walls of their home gym. 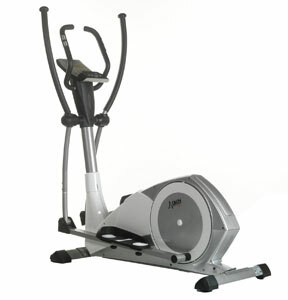 Are there any clear downsides to this DKN XC-140i Elliptical Trainer that prospective buyers should know about? At the time of writing this review, negative reports on Amazon were a little thin on the ground so there was not much in the way of criticism about the performance or features. There were some occasional comments about faulty parts, like the charger, but this was quickly resolved. Not all users have experienced the same faultless connection to their tablet, which they blame on the age of the software, and there are also comments about the manual. The assembly instructions are not as clear and accurate as they could be and the user guide doesn’t provide experienced users with much insight. Summary: how does this feedback affect the final verdict on this DKN Cross Trainer? Every user experience will be different and for every user that gives a high rating report on the quality of the apps and the way that the technology enhances the overall experience. There will be those that struggle with connectivity and don’t view this aspect in the same light. 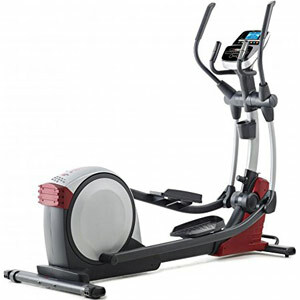 The apps and connections are a great bonus, but the main selling point of this DKN cross trainer is the fact that it provides a great platform for a productive workout with its great components, features and strong construction. Even if you take the apps away, most users can see the benefits of this product.